This beautiful wooden mummy and me photo frame engraved with your names is the perfect personalised birthday or mothers day gift from a loving Daughter! Great as a unique birthday or first mothers day gift for mummy - this sweet wooden frame will be appreciated by Mum for years to come. Add your favourite photo of the two of you and a heartfelt or funny message to create a truly bespoke personalised mothers day gift with heart. 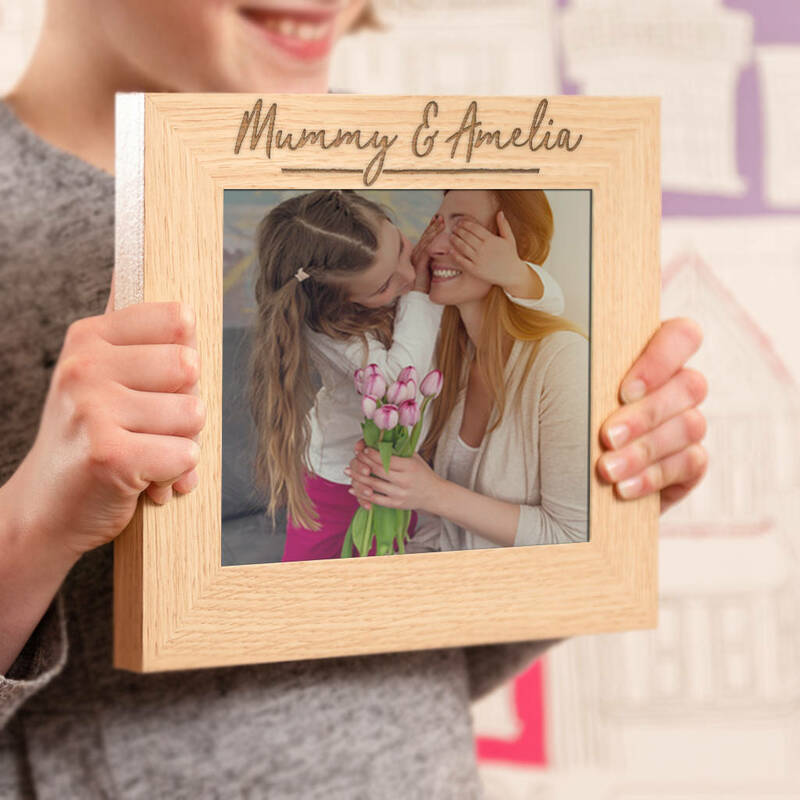 Show any wonderful Mum, Mam or Mom that they're special to you with this thoughtful and completely personalised photo frame. 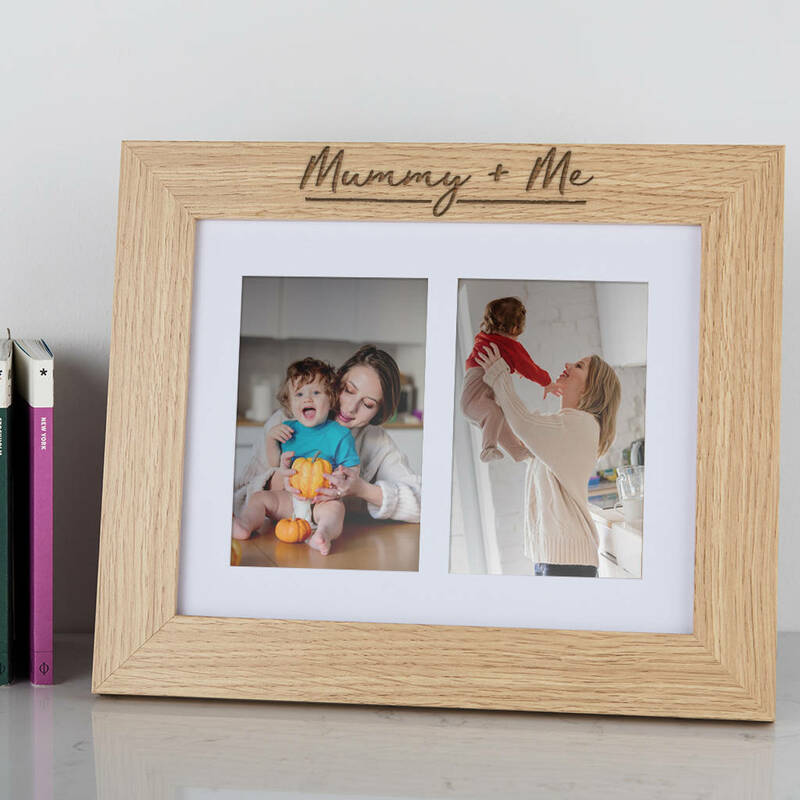 This high quality mum picture frame with a stylish oak veneer finish will be custom engraved with any names and text you wish before being finished with a modern handrawn style line beneath the names. 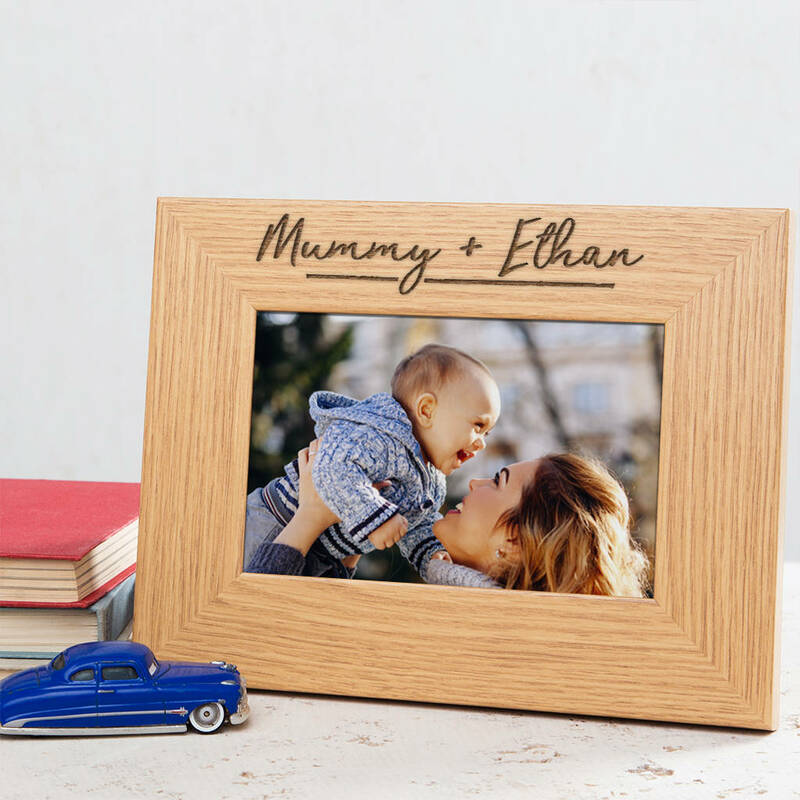 Whether this personalised gift for mum is to celebrate a new mummy or a woman who's son or daughter is all grown up, she will love this sentimental photo frame, which will look gorgeous on display in the family home, or on her desk at work. 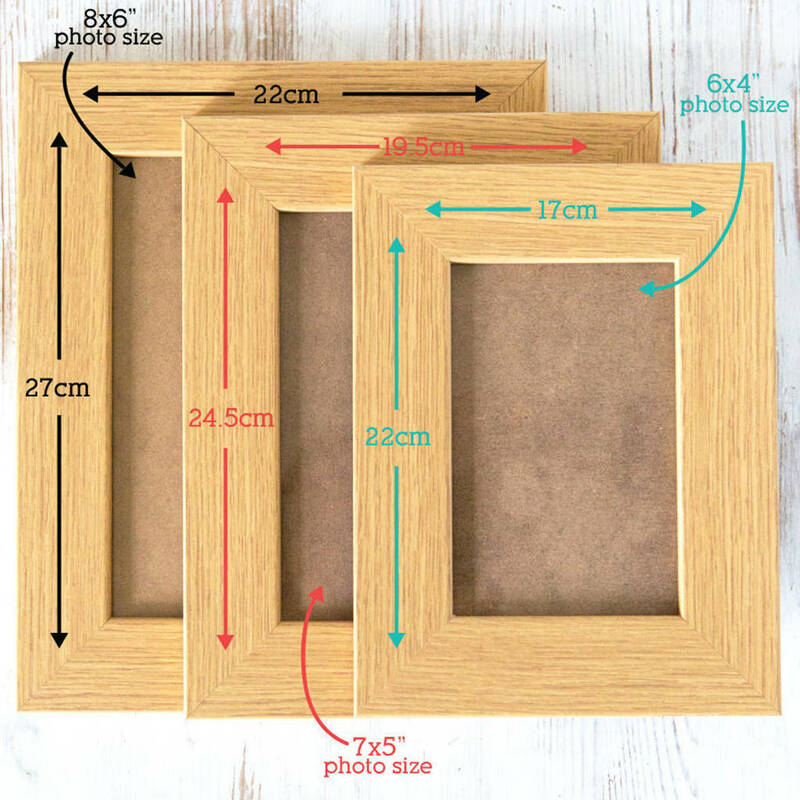 Double Aperture Frame: Exterior frame size 33 x 27 x 1.5cm (approx) - Suitable for two standard size 6x4" photos.